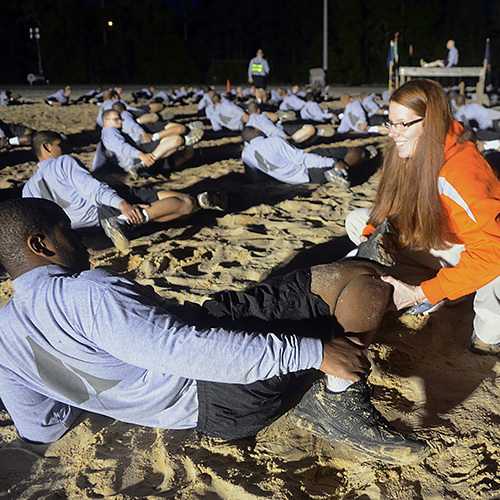 Over the course of the last several years, certified athletic trainers have been increasingly employed by the various Armed Forces to assist in the health and welfare of both active duty soldiers and their dependents. Although each particular branch has its own specific employment policies, most ATs being hired today are either independent contractors or part of the Government Civil Service system. Connect with other athletic trainers in emerging settings, including fellow military ATs. For more information on the military setting, contact Michael Hooper on the Committee on Practice Advancement. Related Link: The Armed Forces Athletic Trainers’ Society works to promote the athletic training profession in support of the U.S. Armed Forces by educating military leaders and working in a coordinated effort to promote the benefits of athletic training services to service members.